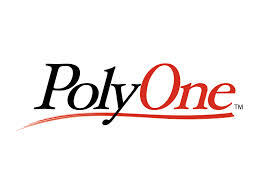 Debra Fine’s Fine Capital Partners disclosed on September 19th that they have boosted their activist stake in PolyOne Corporation (POL) to 5.8%. They now retained about 5.4 million shares of POL. According to their 13F file, the firm had nearly 4 million shares or 4.3% stake at the end of June. Based on the 13D release, Fine Capital Partners started to frequently adjust their holdings since Jul 21th. They carefully did 28 transactions as the stock tumbled to a lower level. The weighted average price per share they got was $12.22, for the total net long position of 1.7 million shares. Currently POL is in a slowly downward triangle with a close price of 11.24 on September 20th. So outsiders could choose to enter at a discount of 10%. The Fine Capital Partners was POL’s biggest hedge fund stakeholder ever since the second quarter, when eleven hedge funds owned the stock in their portfolios. After an expansion of 6%, the firm possessed 4 million shares, which covered 60% portion of shares held by all the US hedge funds. Fine Capital Partners had $833 million invested in the market, Q2 files show. They put nearly half of their assets into financial sector. Also they had other large positions in Services, Technology, and Consumer Goods stocks. PolyOne Corporation – a Specialty Chemicals Company, belongs to the Basic Material sector. The company specializes in polymer materials, and serves various industrial applications. Its sales mainly come from direct sales personnel, sales agents, and distributors.